Our first recording together was “Love & Peace” which continues to be one of my top requested CD’s of all time. 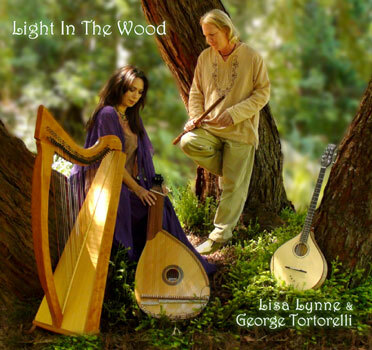 This new CD “Light in the Wood” is volume two. It has a similar feeling and vibe, we left it simple pure and natural sounds recorded as best as humanly and hi-fidelity as possible. 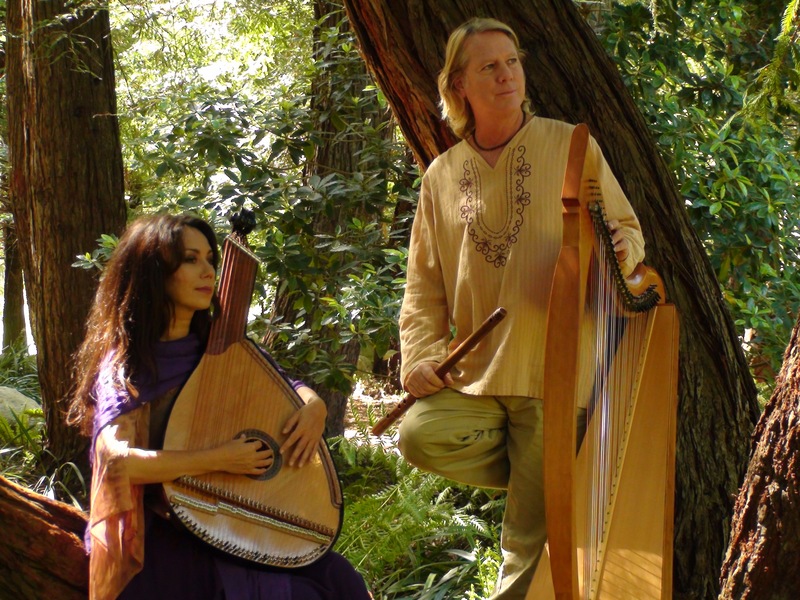 It harkens back to the days when I started out so I tried to re-capture and maintain that innocence of newly exploring Celtic folk music and writing songs so simply. Since then I have done so many grand productions with a cast of thousand lending their virtuosic talents to my tunes. I love that too and am very proud of that work, but I don’t want to forget where we came from so that’s why we did this. Plus, how many people come to our CD table and say, “Do you have one like Love & Peace”? It was the ultimate exercise in restraint, to not lay on sounds of all our usual and unusual instruments because they all sound good. We wanted to protect the simplicity and left it with the original natural sentiment of the songs in their most pure form. You will hear the subtle addition of a brand new instrument. A Ukrainian Bandura I just got. I couldn’t help myself. Here is what it looks like. Its been so many years since those early CDs but we still perform some of those songs live. Many times the older recordings have song versions with what we thought was cool at the time, like too much reverb or special effects that were popular then. When I hear them,its like looking at a photo album of a jacket or hairstyle you wore in the 80’s. eeeesh. What was I thinking! So, whenever we perform a song from then, people want to buy it but I always hesitate because I wish the songs were recorded clear and natural like how we do them now. So that’s what this album is partially about. There are several new songs of course,and there are some songs from my earlier CDs “Moonsongs”, and “Quiet Heart” the way we do them now. Also included is our very very very often requested version of “Amazing Grace”. I haven’t recorded that song since a 1994 Christmas album from Celestial Winds. But whenever we play it live, particularly in the south, people go running up to the CD table to buy it and we have to give the bad news its not available. So finally it is.. in all its full glory. So I know that will make people very happy. Especially our booth neighbor at Mossy Creek who has been waiting patiently for years. I can’t wait to hand it to her. So in summery, We used the concept of the Woods because thats where our instruments come from and we don’t want to ever forget that either. The photos were taken near where I live in Golden Gate park San Francisco. For the inside artwork, I wrote a poem that hopefully paints a picture of our feeling about it all. For those of you who download only, I will share it here.